Shu Uemura’s special cosmetics for holidays! Collaborated with Tsumori Chisato. I got a “planet cat palette”. Sparkling lucky cat is on that!! 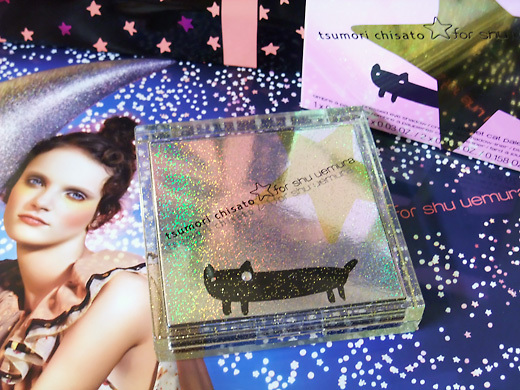 I got to try this palette last night at the Tsumori Chisato special event and it’s fantastic for creating party looks but also daily make-up!